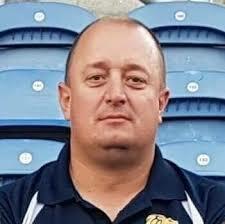 In a post on the BAFA website news section, Operations Director Steve Rains announced that Russ Hewitt has resigned as Commission Lead for Age Group/BUCS. In a further statement, Rains explained how Age Group Commission lead role and the BUCs Commission lead role would now become separate roles. Steve Rains explained, ‘We recognise the overlap in the workload of organising both Age Groups and University football which was hard even for someone with the experience Russ has. We have therefore decided to split the role into two distinct new roles to allow the incoming job holders more opportunity to concentrate their efforts and attention to one specific area. Russ is staying on in the role during the recruitment process and will ensure a smooth handover to the new appointees – we are very grateful to him for agreeing to that. I would like to pay tribute to the work Russ has done, he has not always been given the recognition he deserves in what was an impossible role before the recent reorganisation – without him a lot of things simply would not have happened and he deserves our sincere thanks for his service to the administration of the sport in this country‘. When interviewing for the role I seriously didn’t expect it to be greater than my previous role, but unfortunately that’s how it turned out. I’m glad to see the role has been split now, so someone with new vision and energy can come into both of the roles, to take the sport forward.’ He explained that the time factor was his biggest consideration, something he believed strongly that splitting the role would reduce.